Why? First of all, the rate change was minor, considering all the press coverage it received. In the mid-2000s, Fed Chairman Alan Greenspan raised interest rates 17 times in quarter-point jumps, finally taking Fed Funds to a 5% rate. This time around, the economists at America’s central bank are behaving extremely cautiously. 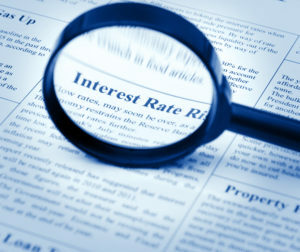 By raising rates, the Fed was indicating that it believes the companies that make up our economy are healthy enough to survive and prosper under slightly higher interest rates. The markets apparently felt like this was a positive sign, that the economy no longer needs to be nursed back to health. The widely-followed S&P 500 stock index rose a full percentage point on the news.